Child’s Play will eventuall be available through EQ Boutique. I’m not sure about the others. Thanks Denise and meantime Happy holiday season from our house to your house. I seems that the file for the jars is missing. Would love to have it. don’t know why the link is no longer working Ruthie. I’ll try correcting it when I get some time. Thank you for the EQ files. 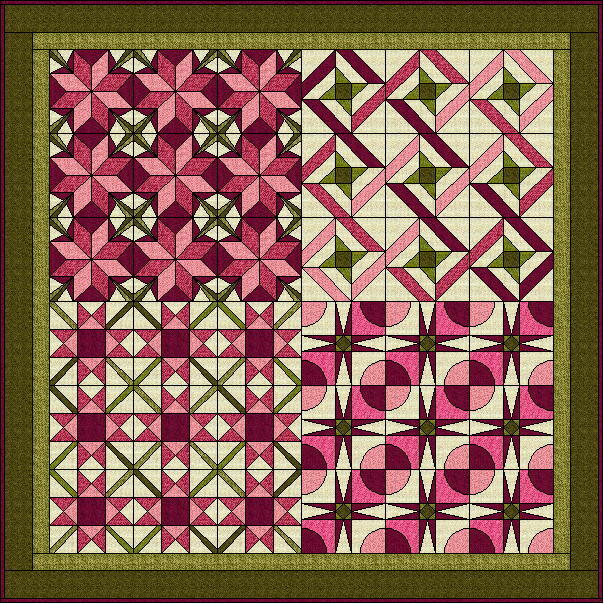 I downloaded the Four by Nine and have been playing with the blocks, each in their own quilt and colourings. I love your fabric choices! Just right up my alley. Hmmm….where I have seen jars before??? 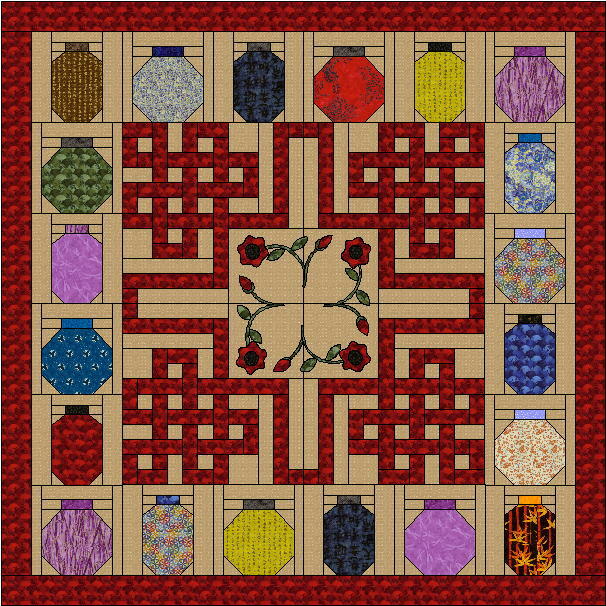 Love your idea for them and the mixed sizes! 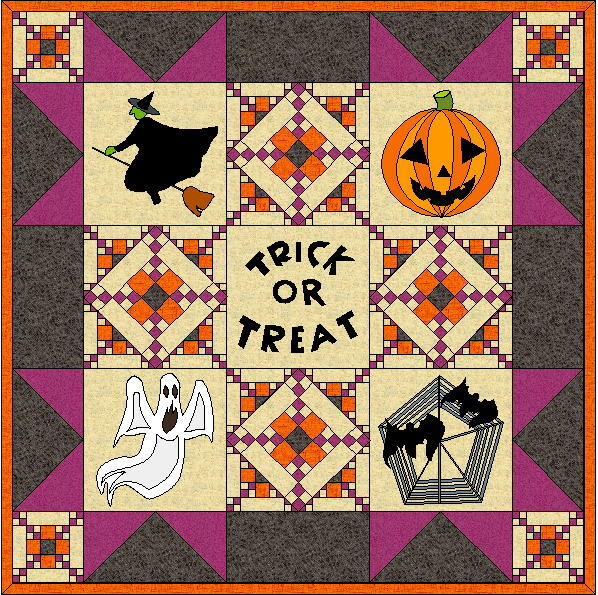 The Halloween quilt is adorable and I like the blocks you’ve used for 4×9…specially the ribbon stars top right. Good work!